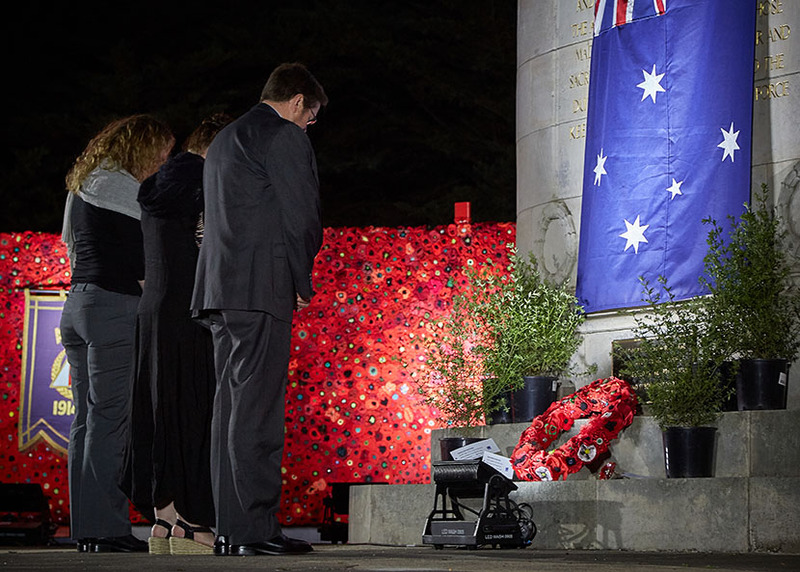 On Sunday 4thNovember, almost 700 people made the journey to RAAF Base Point Cook to mark the centenary of the signing of the World War 1 Armistice on 11 November and honour the memory of those who served and paid the ultimate sacrifice. Following a formal reception at the Officers’ Mess, serving members past and present joined members of the public at the parade ground where the Australian Flying Corps Memorial stood proudly – surrounded by a stunning wall of red poppies, especially created for the event by the 5000 Poppies organisation. 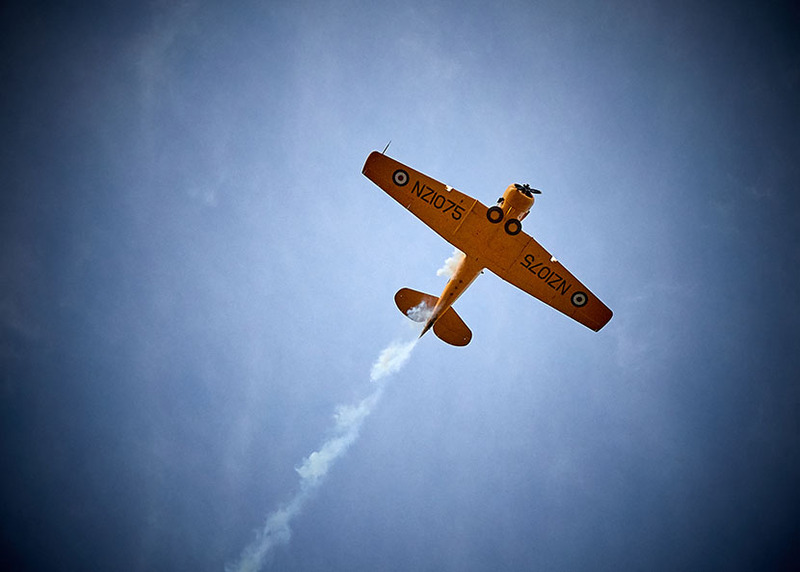 Prior to the formal start of the Commemoration Service, a Harvard (AT-6) aircraft - courtesy of the RAAF Museum – dipped and rolled in a wonderful flying display above the audience, while cameras and phones captured every acrobatic manoeuvre. MC Peter Meehan’s welcome and opening remarks were perfectly timed with an official flypast by the Harvard, and this was immediately followed by Shrine of Remembrance Memorial Guard, Bob Roberts taking post next the AFC Memorial. Following welcome addresses by Max McGregor, AFA Victoria President and Carl Schiller, National President of the Air Force Association, four speakers – AAFC Cadet Under Officer Martin Whitehouse, Ms Marion Nunn, SQNLDR Lee Stanway and Mr Laurie Bell – shared the Story of the Armistice, with an audience, clearly moved by the scale and impact of the Great War and sacrifice of those who served. SILENCE FALLS - Pte Henry Weston Pryce, 16thAustralian Infantry Battalion - 11 Nov 1918. The spent shells gleam like gold. To hear no crack of thunder. - Read by AAFC Cadet Under Officer Martin Whitehouse. 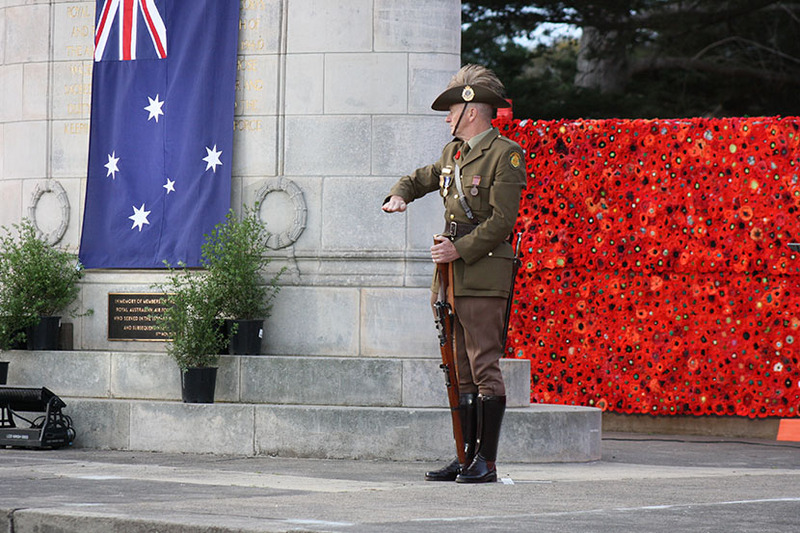 After Chaplain Keith Lanyon led the assembled guests in the Prayer of Remembrance, GPCAPT Michael Que Hee laid a beautiful poppy wreath accompanied by a stunning rendition of the lament, “Flowers of the Forest” by Les Kenfield, Piper from the Rats of Tobruk Memorial Pipes and Drums. As the audience stood for the Ode of Remembrance read by WOFF Daryl Bessell, the mournful notes of the Last Post, played bugler Sean Rankin, rang out across the silent parade ground. At the conclusion of formalities, guests were invited to place a poppy in the artillery shell at the base of the Memorial, led by AIRCDRE Bruce Wood, Mrs Deborah Wood, and Ms Kate Cannon who placed handmade glass poppies in remembrance of three family members who are buried in Flanders Field. Harrison Sawyer, accompanied by the Werribee Concert Band sang the beautifully poignant “I Am Australian” as guests took their leave. Special thanks must go to WGCDR James Rogers and 22 SQN staff, the cadets of 4 Wing AAFC, under the guidance of WOFF (AAFC) Matthew Cane, who supported our Commemoration event at RAAF Base Point Cook, the birthplace of Australian military aviation to participate in this historic and memorable centenary event. 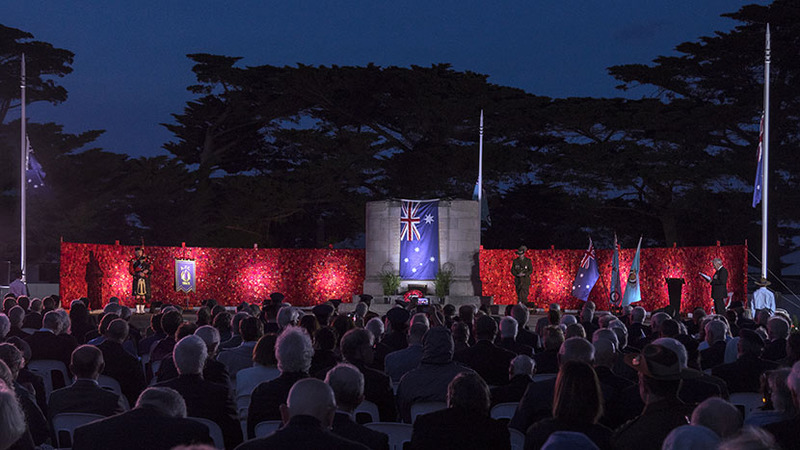 “Today – and next Sunday, the 11thday of the 11thmonth - we remember and honour the fallen, and we remember and give thanks to those brave men and women who returned to build the future of the Australia we are so privileged to live in today.”– SQNLDR Lee Stanway, excerpt from The Story of the Armistice. 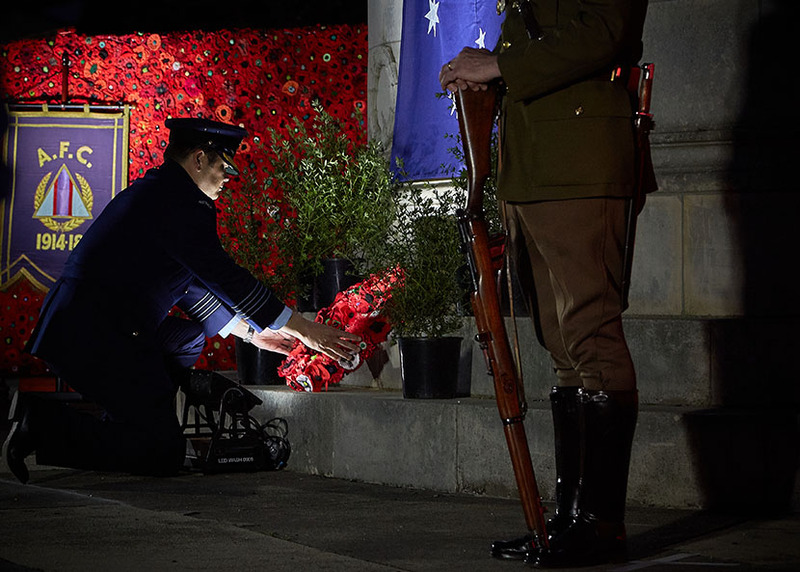 View a full photo pictorial of the Armistice event here.